Reading- Last week we had an author visit from Sarah Weeks. She was so funny and got students super excited about her books. We've started a new read aloud by Sarah, titled Save Me a Seat. We can't wait to use the reading skills we've learned this year to analyze and discuss her writing. Math- We finished up our multiplication/division unit and students did phenomenal on the assessment!! We were so proud of the students for showing perseverance and working hard. 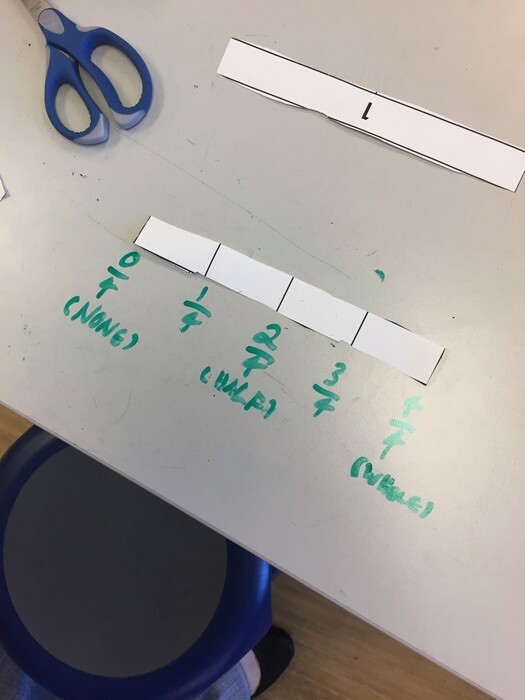 We have started a fractions unit this week. So far we have used M&Ms to show fractions of a set (yummm!! ), and discussed/labeled a length model. 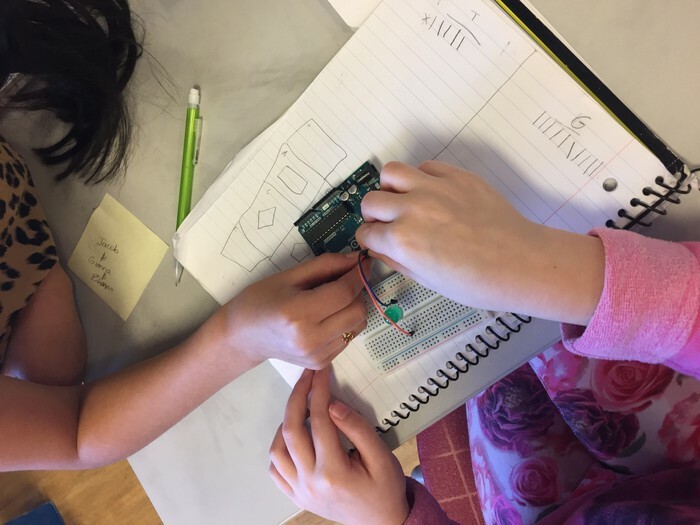 Science- We will finish up our circuit unit today and Monday by programming an Arduino board to light up our light bulb! This will be challenging, yet exciting task. Look for pictures on twitter! Writing- We finished up our opinion pieces last week and students were able to type those to publish. If you'd like to see your child's work, have them login to their Google Docs to show you! Next week, we will be starting an alphabet book writing activity (which we will look into getting published) that will enhance creative writing and allow students to reflect on their 3rd grade year. We're super excited about this task! As we reflected on what students have learned this year, we have noticed that math facts are still an area of weakness for many students. Therefore, we have decided to switch the homework up a bit. Students will still have a choice in activities, however, the focus will be math facts. .
From now on, a math fact tic-tac-toe board will come home each week. Students will choose 3 activities to complete, forming tic-tac-toe. Homework will still come home on Fridays and be due the following Friday. Students will still complete their reading log. All resources will still be on on our portal, which you can click here to see. Looking ahead at March, we wanted to make you aware of our MAP testing dates. Reading MAP test will take place on Weds. March, 15th. Math MAP test will take place on Mon. March 20th. If you'd like your child to get some extra practice for reading before the test, MobyMax is a great place to practice. Your child will go to www.mobymax.com/oh2407 and sign in. Their username will be the same as their google log in, and their password is eagles3! . 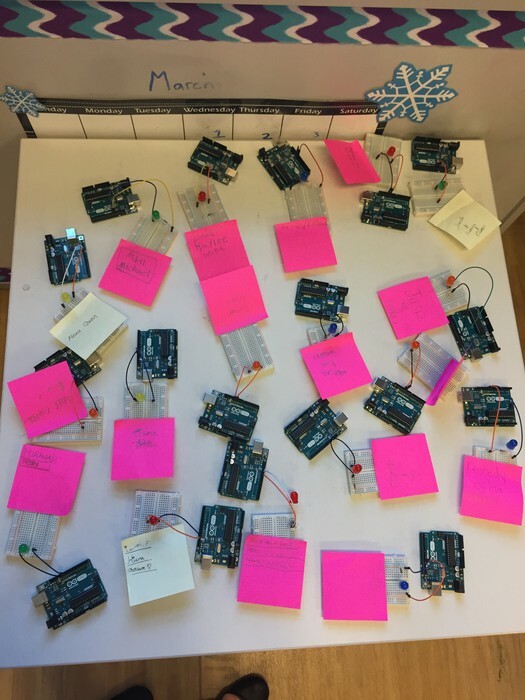 Cicuits, Arduino, and Coding... oh my! Students hook their circuit up to the Arduino Boards! 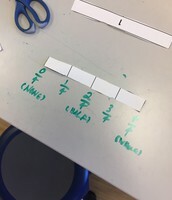 One student realized 2/4 is equal to 1/2 while we created a length model to represent fractions. 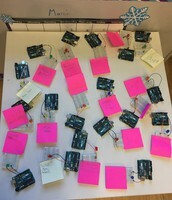 Students prepared their Arduino boards to program during science class.